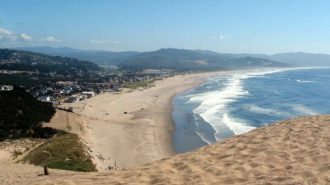 Many seemingly innocuous parts of an RV are in fact the crucial parts that help to keep your vacation comfortable and your vehicle in working condition. Case in point — the RV roof vent. These bland ceiling flaps are important in keeping the cabin well-ventilated without exposing yourself to the harsh elements outside. They keep you cool, they keep you dry, they keep you safe, and they keep you sane. 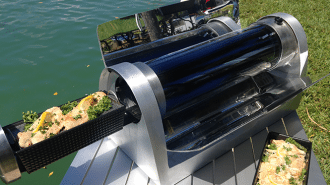 Thankfully, RV roof vents are relatively easy to maintain, but there are still many things to consider as an RV owner with regards to your RV roof vent. 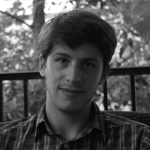 Let’s review some of the basics and a few in-depth tips. 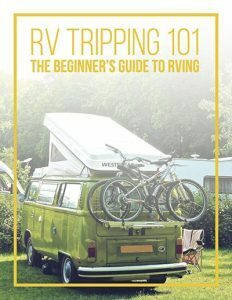 This is your guide on roof vents for RV owners. 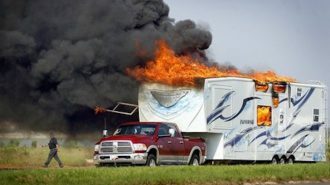 All new and used trailers should come with at least one roof vent, and often with two or more depending on the size and model of the vehicle. A roof vent for RV use is meant to protect you from the elements, but it is also susceptible to harsh conditions itself. 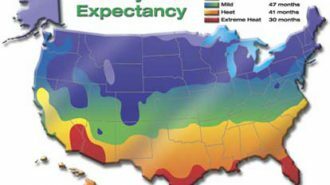 Due to rain, wind, ultraviolet rays and especially hail, most vents will only last for a few years of regular use. Unlike many other RV trailer parts, it isn’t easy to find replacement parts for roof vents. 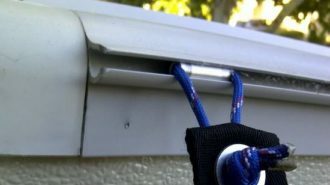 The only essential parts of a roof vent, other than the mounting apparatus and vent lid itself, are the hinges, which are difficult to purchase on their own. This may be an inconvenience if something happens to your hinges, but it also makes roof vent replacement a relatively straightforward task. Most RV roof vents for sale are reasonably priced either online or at local retail shops, where they’ll generally be sold for under $20. Bring your busted old vent into the retail shop in order make sure you purchase one the right size (most are square and measure 14″ per side) and with the right sort of hinges to affix to your roof. 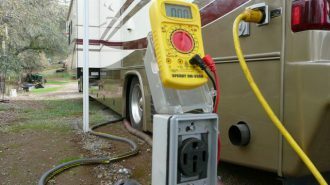 Before purchasing a vent replacement, be sure to check all of the vents on your RV or trailer, as they will generally break around the same time due to weather conditions and similar wear. Another difference between roof vents is their mounting system. Some require you to drill holes in your roof’s surface while others employ less damaging mounting systems. The best vents operate with hinges, allowing you to open and close the vent with ease. Most brands offer vents in either translucent white or smoky gray, the latter of which allows less light to enter your cabin. Before making the purchase, look for online user reviews and double-check the vent specifications to be sure you’re getting the best value possible. You have your new roof vent, and now all you need to do is install it! Luckily for you, the installation process is relatively easy, as the vent will almost certainly come with instructions included. 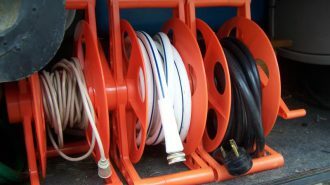 Many brands post instructional videos on their websites to help with installation, as do many average users — so you should find plenty of help online, should you need it. 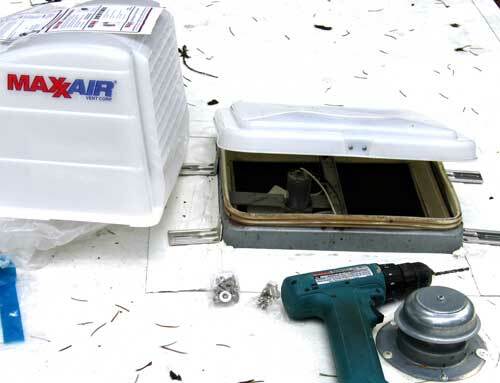 The most important tip for how to install RV roof vents, no matter the brand, is to be safe. 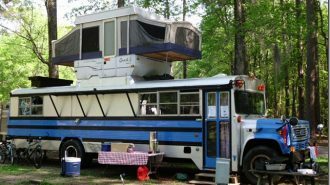 Have someone nearby to help if you struggle keeping your balance on the RV roof. 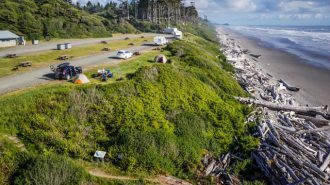 Be sure to do it during favorable weather conditions, before the next rain storm hits — water leakage will obviously harm your RV and make installation a dangerous proposition. For installation, you won’t need to remove the whole vent’s structure, but only the lid. 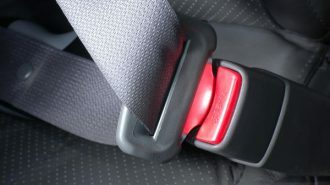 Usually, you’ll simply have to remove a pair of pins in the hinges, before attaching the moving part of the new vent lid to the hinges or a mechanism that holds open the cover. Some designs have screws on the hinges that will need to removed in order to detach the old vent and then replaced to attach the new one. 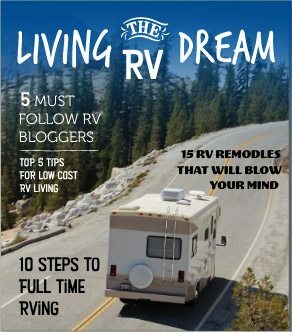 To replace RV roof vents, you should also purchase a self-leveling sealer. You can use a liberal amount of this caulk during installation to help set the vent against the roof, forming an airtight seam between the two. 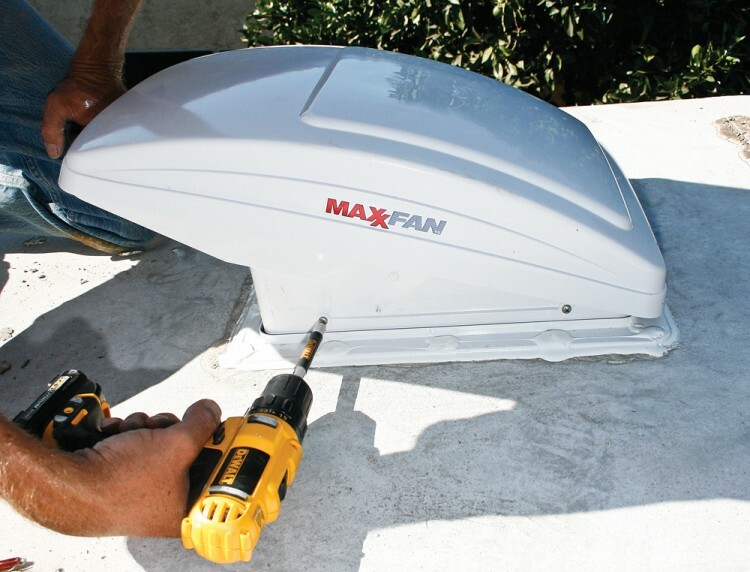 This ensures your new vent (or vent lid) won’t allow water leakage. These pay for themselves by preventing damage. 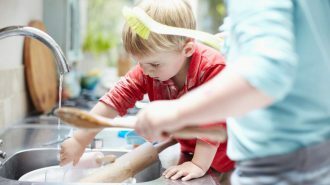 When replacing a vent, this paste may cause some headache — try using a hair dryer or something similar to melt and loosen the sealer before removing the lid. A roof vent might break at any time, but with less exposure to harsh weather conditions, it will tend to last longer. 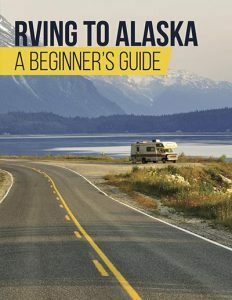 If you can, keep your RV in a shaded storage area or garage for protection from rain, snow, hail and damaging sunlight. If you’re willing to invest some of your hard-earned cash to make sure the roof vent doesn’t break too quickly, you might consider purchasing an RV roof vent cover. These oddly shaped apparatuses protect the vent lid from damage while keeping it dry. This not only means that your vent will last longer but also that you can keep it open during rainstorms to allow air circulation without letting water leak in. 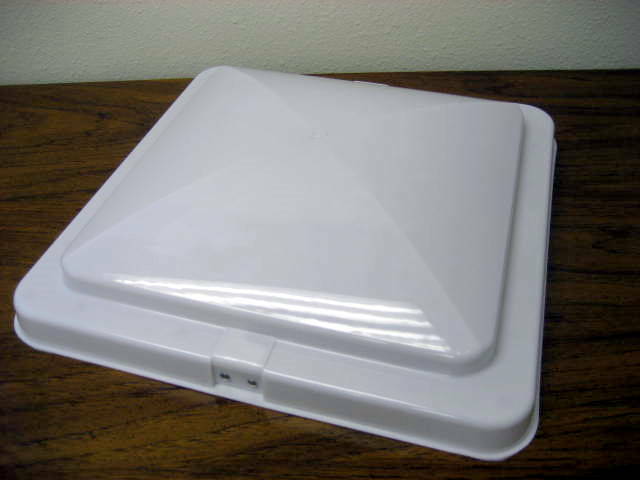 The standard for RV roof vent covers are Maxxair covers, which generally cost around $30. They’re designed to fit over all 14″ by 14″ roof vents, and RV roof vent cover installation is straightforward (provided you have a drill) and detailed on the company’s site. In the long run, they’ll save you the cost of several roof vent replacements. Better still, you’ll almost never need to purchase an RV roof vent cover replacement — these are built to last. 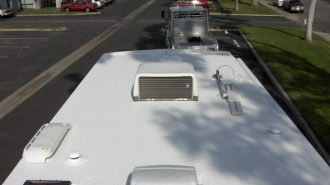 Roof vent covers do jut out and above the rest of your RV chassis, so the added height may be a problem. 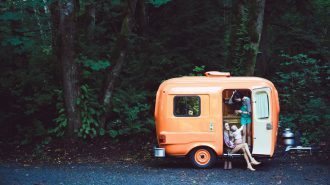 If your RV already has trouble fitting through short spaces or comes dangerously close to hitting the ceiling in its garage or storage facility, purchasing a vent cover may simply be out of the question. Rather than purchasing roof vent covers for RV use, you might instead purchase a metal roof vent for RV use instead. Unlike the industry standard plastic roof vents, these metal vents are impervious to damage from hail as well as ultraviolet rays. Unlike the vent covers, however, they’ll still let water in if you leave it ajar on a rainy day. They cost roughly $30. Both the vent covers and metal vents don’t allow light to penetrate like clear vents do. If you find that heat is an issue in your travels, you may want to purchase an RV roof vent with fan attachment to further help your ventilation, keeping your cabin cool and well-ventilated more effectively than a standard vent. RV roof vent fan comes with a built-in lid, so you’ll need only to purchase the fan instead of buying a fan and vent lid separately. 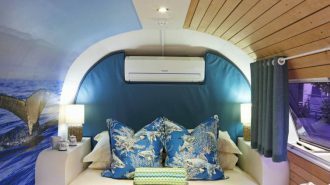 Most RV roof vents with fan attachments are made for 14″ by 14″ vent openings, but their are many further considerations here. 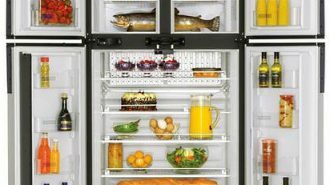 Some, for example, will be quieter than others, and some will require more electricity to run at the same capacity. Most shouldn’t use more than 3 amps while operating at high capacity, operating from one or several 12V motors. Certain models come with remote controls and even sensors that automatically close the lid when they detect rain. The more features, the more costly the fan will be. It may be difficult to install a roof vent fan if the opening was only made for a standard vent — you’ll have to wire it yourself, or hire someone else to do so, which may be costly. An RV roof vent fan won’t be cheap in the first place. 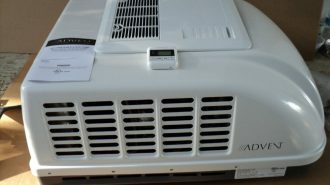 Unlike standard vents, they’ll almost always cost upwards of $100, though replacement parts will be significantly less. The Create-a-Breeze fan is currently on sale for $130, while the more advanced Fan-Tastic Ceiling Fan costs $250 on sale. 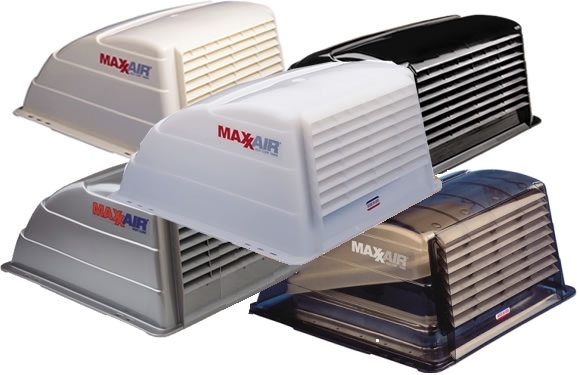 MaxxAir also manufactures an impressive RV ventilator that combines the features of their vent covers with those of an RV roof vent fan. The high-tech piece costs around $250 as well, incorporating a sleek, distinct design and a 12″ bladed fan. 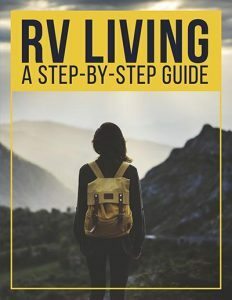 Hopefully this guide has helped to enlighten you in the ways of RV roof vents and covers, as well as other RV roof vent parts that might be of some importance the next time it’s time to replace and install your latest vent. 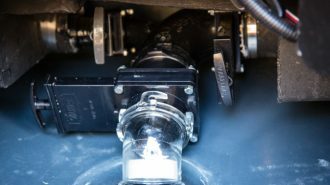 Roof vents for RV trailers are important parts, and though the process of replacement might be difficult, it’ll be worth it for the comfort and ventilation provided.